Wondering which of these proteins best suits your needs? Get all your questions answered with this side-by-side comparison. Whey and casein are two of the most popular protein supplements on the market, and for good reason. They're both high-quality, highly bioavailable, complete proteins that are particularly rich in branched-chain amino acids (BCAAs), which makes them great for muscle growth and repair. However, despite both coming from milk, there are distinct differences between these muscle-building brothers. Both whey and casein are dairy-based proteins derived from the cheese-making process. In fact, all dairy products contain a blend of both whey and casein. Milk is roughly 80 percent casein and 20 percent whey. 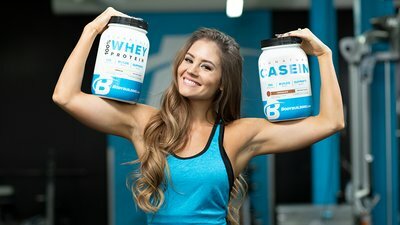 How do whey and casein work? Whey protein is known as the "fast" brother because it's rapidly digested. Casein protein, on the other hand, is the "slow" brother because it's gradually digested. Although both bros in this protein pair have a high amino acid content, whey is considered to be the more anabolic (muscle-building) milk protein because of its ability to rapidly spike blood amino acid levels, which are necessary to kick-start muscle protein synthesis. Casein, on the other hand, is often considered to be an anticatabolic, or muscle-sparing protein, because it provides a steady stream of amino acids over time that keeps muscle tissue breakdown at bay. For muscle growth to happen, protein synthesis needs to be greater than muscle breakdown. Since whey increases protein synthesis and casein prevents muscle breakdown, both proteins, taken strategically, can help you build muscle. Whey protein takes only 20 minutes to be digested, absorbed into the blood, taken up by bodily tissues, and metabolized. Within an hour, it will have been used up for either protein synthesis or oxidation. This is amazingly fast in comparison to casein, or even dietary protein from whole food. It is this sudden increase of amino acids that stimulates muscle protein synthesis. Whey quickly tips the balance from muscle breakdown to protein synthesis to get you out of a catabolic state, like you get from lifting weights. When you consume casein, you will reach a peak in blood amino acids and protein synthesis between 3-4 hours. This peak, however, does not even come close to that of whey. But this, too, is a good thing. Even though casein doesn't raise your amino acids as high, it dramatically slows the rate of protein breakdown, protecting your existing muscles. The quick-digesting nature of whey protein makes it excellent before, during, or after your workouts, because it will fuel your muscles quickly with minimal GI distress (unless you have trouble digesting milk, in which case you should definitely avoid dairy proteins). Casein, on the other hand, is best used before fasting, such as before bed or a long day of nonstop meetings, because the slow release of amino acids promotes fullness. It also can be added to meals. Slow digestion can be a negative before or after training when you are trying to get amino acids into the system quickly, but it's a benefit when it comes to holding off hunger and catabolism when you're gunning for fat loss. Some people also like to pair whey and casein together post-workout. The idea is you'll get both rapid and sustained amino acids this way. 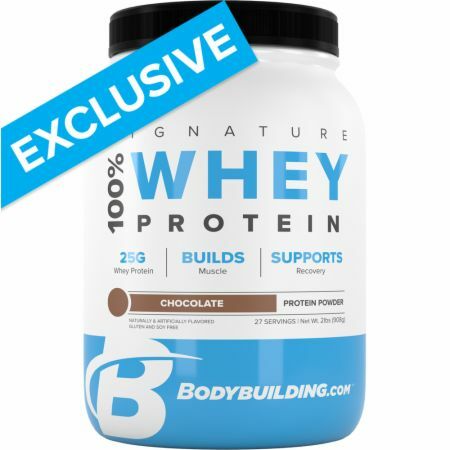 However, others believe mixing the two protein powders blunts the amino acid spike from whey, and slows its absorption. Try it both ways to learn what works best for your body. The most important thing is making sure you get plenty of amino acids, period. When protein products start touting how much of a certain amino acid they have added or that they have a better amino acid profile, ignore the hype. It doesn't matter. The amino acid profile becomes important when you are comparing different protein sources. And since both casein and whey are milk-derived, they have essentially the same amino acid profile. Whey protein powder is extremely versatile: It mixes beautifully with water or milk, but also pairs well with oats, Greek yogurt, peanut butter, or your favorite protein shake. If you like baking, try one of the many whey-protein-powered recipes in our Healthy Recipe Database. Casein protein makes for an excellent bedtime snack. Simply mix it with a splash of water or milk to make casein pudding, add it to some Greek yogurt (which is a fantastic source of casein on its own), or make a slightly fancier snack with these delectable before-bed recipes made with a whey and casein mix. A study looked at healthy subjects with a normal protein intake. They fasted for 10 hours, then were either given 30 grams of whey protein or 30 grams of casein protein. Blood leucine levels peaked one hour after ingestion of whey or casein. However, the whey protein group peaked at higher levels and returned to baseline after four hours. The casein protein group peaked at a lower level but didn't return to baseline until seven hours later. Whey protein enhanced protein synthesis by 68 percent, but did not affect protein degradation. Casein decreased protein degradation by 34 percent, but did not affect protein synthesis. The study points out the benefits of both proteins as we mentioned earlier. Keep in mind that a mixed protein meal (as opposed to supplementation with a single protein) would have a different absorption rate that might change the effects on protein synthesis and breakdown. With the information from the study above, we can question the common recommendation to eat every three hours to avoid losing muscle. By taking a protein supplement, especially casein, you can keep your amino acid levels elevated for much longer between meals. Interestingly, a different study concluded that taking either kind of milk protein after exercise resulted in similar increases (no significant differences) in muscle protein net balance, resulting in net muscle protein synthesis despite different patterns of blood amino acid responses. This suggests that while it's preferable to take whey protein around workouts and casein around fasting periods, the most important thing is getting enough protein in general, whether from whey, casein, plant-based protein powder, or any other protein source. 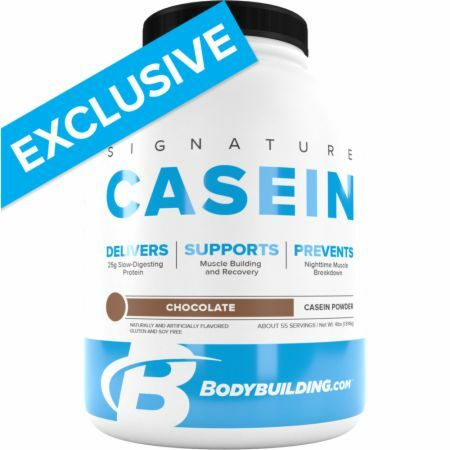 In summary, casein is a slow-digesting protein that is anti-catabolic: It prevents excessive protein breakdown. Whey protein is a fast-acting protein that is anabolic: It stimulates protein synthesis, but does not inhibit catabolism. You can encourage anabolism and discourage catabolism by including both whey and casein in your diet. Dangin, M., Boirie, Y., Garcia-Rodenas, C., Gachon, P., Fauquant, J., Callier, P., ... & Beaufrère, B. (2001). The digestion rate of protein is an independent regulating factor of postprandial protein retention. American Journal of Physiology-Endocrinology And Metabolism, 280(2), E340-E348.